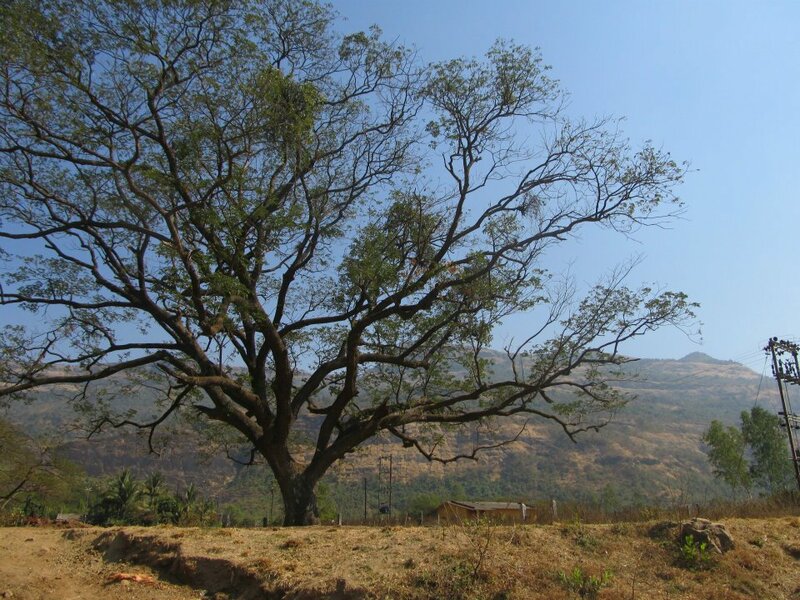 Bhivgad, also known as Bheemgad is a small hill fort near Karjat. 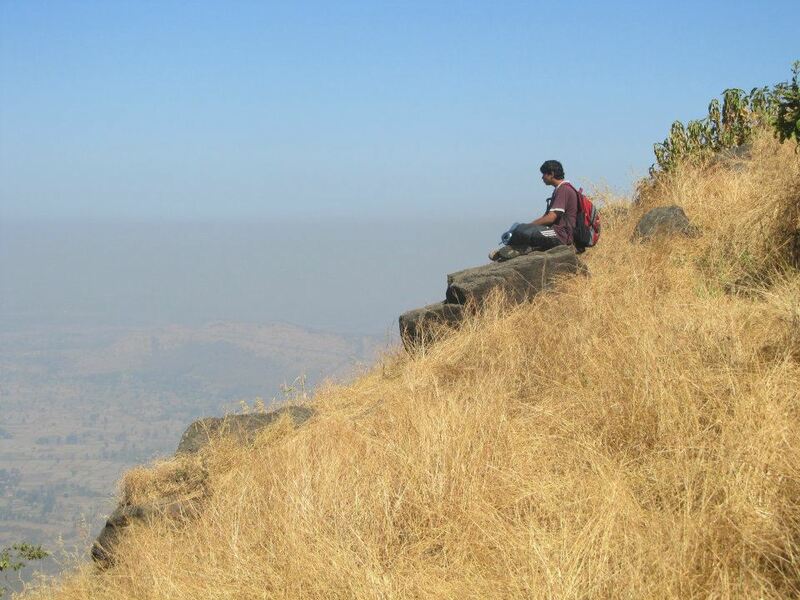 Its a small trek with a few fort remnants and has a height of just 800 feet. There is also a beautiful waterfall that is worth visiting in the monsoon. 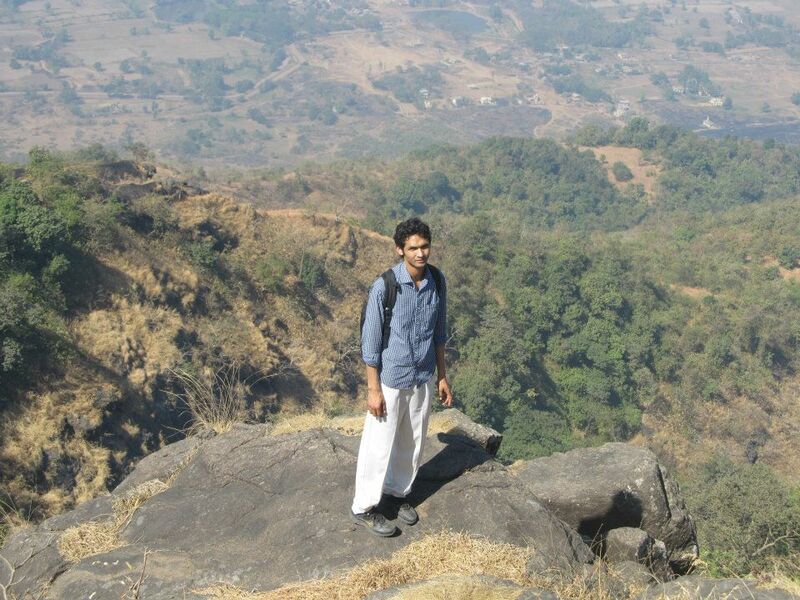 Height above mean sea level - 800 feet. Time to reach the top - Upto 1 and a half hours. 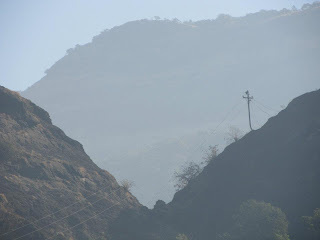 Sights to visit - Fort remnants. How to get there - Dadar --> Karjat --> Karjat to Vadap (pron. वदप) via rickshaw. You get rickshaws to Vadap from the famous Karjat bridge, where all the rickshaws stand. They should take about 80 bucks depending on how much you haggle for one rickshaw. It is a small but nice trek and take about 1 hour to reach the top, non-stop. 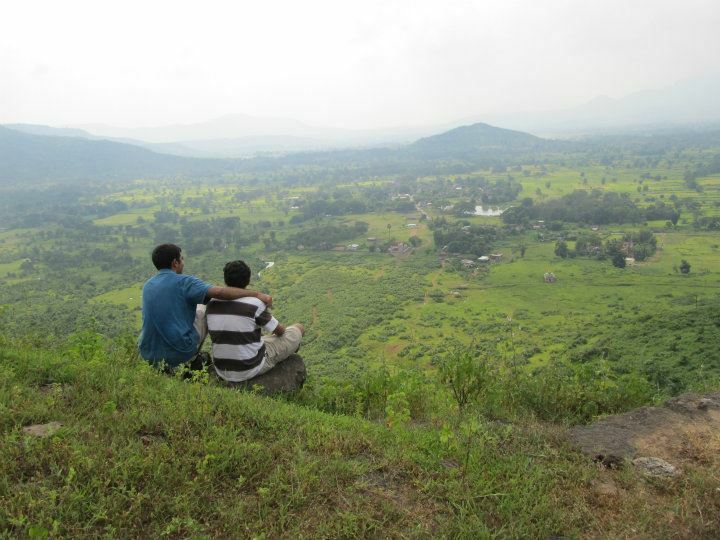 There are a few fort remnants to watch and the view of the surrounding hills is quite nice. The top has flat land where cows graze. Not a bad spot to camp. 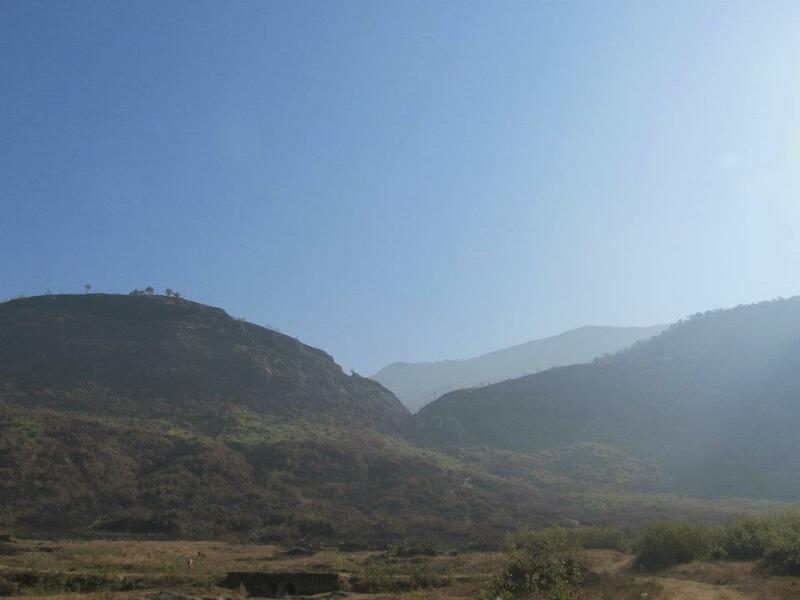 An ideal trek for beginners. A huge tree at the base village of Vadap. You have to go right from this pass, towards the electric line following the trail. 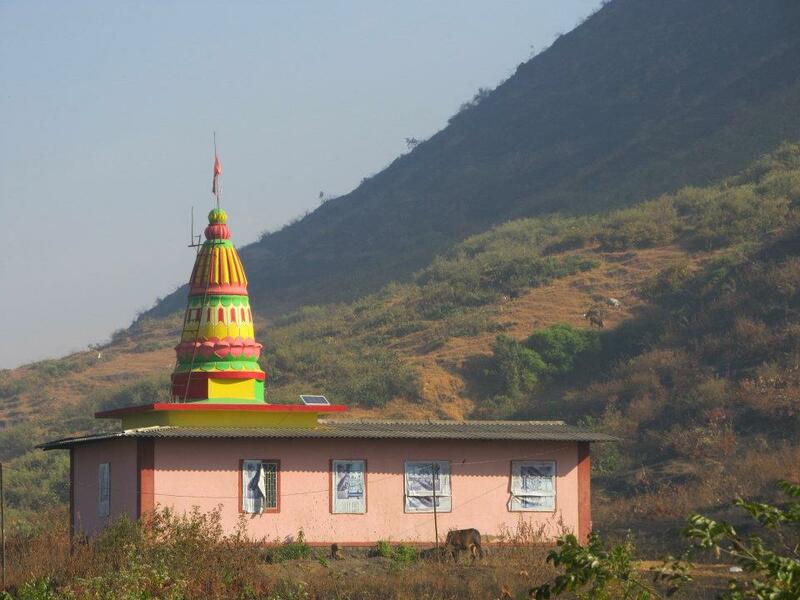 The temple near the base village. 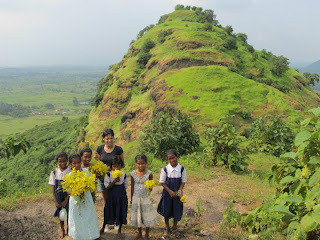 Just after the monsoons, my friend with some local girls who go to the top to collect the yellow flowers. 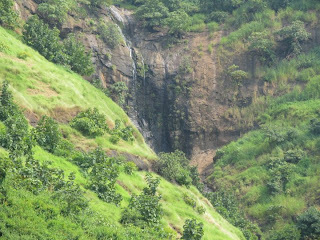 The waterfall, almost dried up.